This newly constructed home is located on the North shore of Roatan in the tranquil community of Guaiabara Beach. 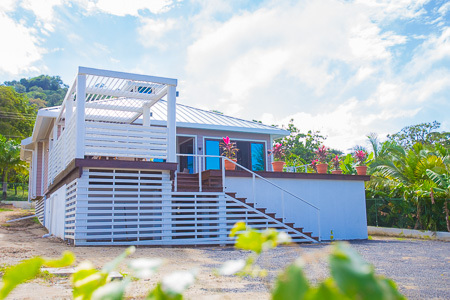 These 3 bedroom homes feature indoor and outdoor living spaces in a modern Caribbean design. This prestigious seaside community is located in Big Bight and offers beach access, dock access, a hillside walking path that overlooks the green area, paved roads, underground utilities, walking distance to the golf course. This home is just 300 feet from the beach and just minutes away from French Harbour, supermarkets, restaurants and night life.